TACOMA, WA. 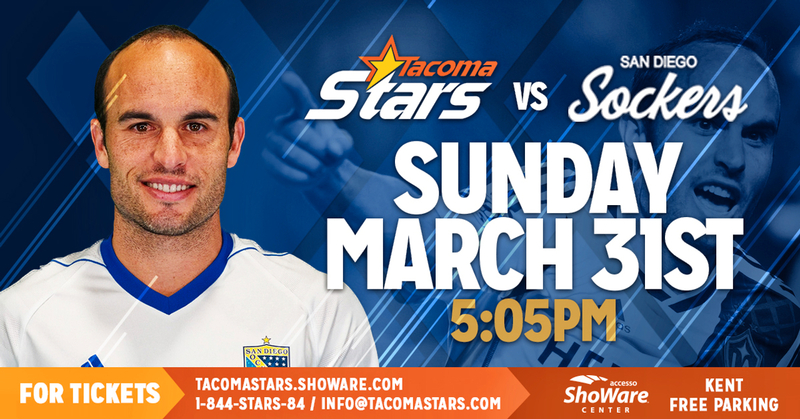 – The Tacoma Stars (10-10) will wrap up their MASL regular season home schedule on Sunday March 31 when they host former MLS superstar Landon Donovan and the Pacific Division leading San Diego Sockers (17-1). The night will also feature the Stars’ tribute to their supporters on Fan Appreciation Night. 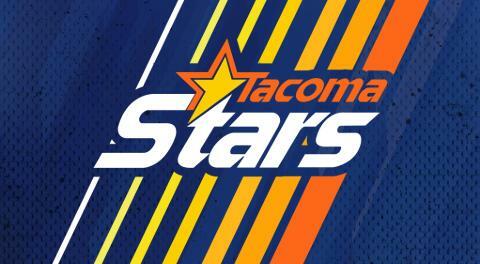 The first 1,000 fans through the accesso ShoWare Center doors will receive a Tacoma Stars team photo. In four games for San Diego this season Donovan has four goals and seven assists for 11 total points, most of which have come in his last three appearances. Considered one of the best outdoor soccer players in U.S. men’s history, Donovan signed with the Sockers on January 12 of this year and picked up an assist in a 6-4 win over Tacoma in his first MASL career game. His next game, a 13-2 win against Turlock, he scored the first of his two goals just 12 seconds into the match. A four-time winner of the U.S. Soccer Athlete of the Year Award, Donovan is the all-time USMNT leader in assists and is tied with Clint Dempsey as all time leading scorer for the team. He is the only U.S. player to reach the 50 goals and 50 assists mark. He is a six-time MLS Cup Champion having won in 2001 and 2003 with the San Jose Earthquakes and in 2005, 2011, 2012, and 2014 with the LA Galaxy. While with LA, he also won a U.S. Open Cup title in 2005. The Stars have their own former MLS star taking the field in Lamar Neagle who is a Tacoma native. Neagle spent most of his MLS career with the Seattle Sounders FC and sits fourth on the club’s all-time leading scorer list. In 2009 Neagle made his unofficial debut against Chelsea in a friendly. Neagle saw playing time for the team in U.S. Open Cup and CONCACAF Champions tournaments as well. The Stars are led offensively by player-head coach Nick Perera who tops the MASL in scoring with 63 points this season. He also leads the league with his 35 assists and is in the top five with 28 goals. The recent return of goalkeeper Danny Waltman from an injury is certain to give the team a boost on defense and there may be no player in the league as hot on the scoresheet as Mike Ramos for the Stars. He has 13 goals and three assists over his last four games and has scored at least one goal in seven straight games. After the game, the Stars will play their final three regular season games on the road as they battle the Ontario Fury for the Pacific Division’s second playoff spot. The Stars’ final regular season home game comes on Sunday March 31 against Landon Donovan and the Pacific Division leading San Diego Sockers. It’s Fan Appreciation Night as the Stars thank the best fans in the MASL. For tickets call 1-844-STARS-84 or go towww.tacomastars.com.